Some patients have difficulty finding the right treatment for their anxiety. Since we all have unique brain chemistry and react differently to anxiety medicine, the same treatment won’t affect every patient in the same way. In addition to this, finding the right therapist adds another layer to the confusion. As we learn more about medical marijuana, we are continually discovering new ways it can serve as a natural alternative to pharmaceutical medicine. There is increasing evidence showing medical marijuana can be an effective treatment for anxiety disorders. To help answer any questions you might have, we’ll go over the basics of medical marijuana as a treatment for anxiety disorders, so you can decide if it might be an option for you. How Is Medical Marijuana an Effective Treatment for Anxiety? The information we have about medical marijuana suggests that it could act as a replacement for typical anti-anxiety medication. Preliminary research about medical marijuana and anxiety shows cannabis has similar components to manufactured pharmaceuticals for anxiety symptoms. One of the most commonly prescribed types of anti-anxiety medication is benzodiazepines. It manages the levels of a neurotransmitter called GABA that balances your anxiety levels. Unfortunately, patients who take them tend to build a tolerance quickly, and they cause thousands of overdose deaths every year. Marijuana seems to also affect GABA levels. Early studies discovered that the components in marijuana, especially cannabidiol (CBD), also manage the amount of GABA in your brain. Medical marijuana also shows potential for lowering your levels of cortisol, a hormone that indicates how much stress you feel. The lowered cortisol creates a dulled reaction to stress. We aren’t quite sure whether this is an overall good or bad result yet, but this effect could be a total game-changer if it does turn out to be positive. Medical marijuana can serve as a holistic alternative to anxiety medication without the typical side effects. It has been an effective treatment for symptoms of anxiety disorders for countless patients just like you. However, some patients experience an increase in anxiety when they use cannabis. Don’t worry, though — with consultation from a marijuana-trained doctor and care in picking the right strain, you can avoid the extra anxiety. The cannabis compound known as CBD has been shown to offer substantial benefits for people suffering from a variety of anxiety disorders. Cannabis that is rich in CBD has been used in patients who were suffering from anxiety as well as pain, spasms and many other issues. You can’t get high from CBD, and it offers several therapeutic effects. Research animals given CBD have shown significantly lower levels of anxiety than those not given the compound. Insomnia: Certain types of medical marijuana have relaxing, sleep-inducing properties that help you get to bed. Fatigue: Other kinds of cannabis medicine have an energizing effect that counteracts fatigue. Concentration difficulties: Specific strains and formulas can also help you pay attention when you deal with focus issues. When you experience anxiety as an indirect symptom of a chronic disorder, medicinal marijuana may relieve your symptoms. It helps patients with cancer, chronic pain and seizures. Whether you can get medical cannabis for your anxiety disorder depends on your state’s laws. If you live somewhere with legal recreational marijuana, you can get cannabis as an adult over 21. Your state may or may not permit medical marijuana for anxiety if it has a medical program. We encourage you to research your state’s medicinal cannabis laws to see if anxiety is a qualifying condition. No matter how your state lets you get cannabis medicine, we recommend consulting a marijuana-trained doctor. These medical professionals understand how cannabis interacts with your body and other medications. What Marijuana Treatment Method Works Best for Anxiety Disorders? Smoking: This is the most popular way to use cannabis for both recreational and medical users. But it may not live up to the hype for you — in fact, it can harm your health. Like smoking tobacco, smoking marijuana produces tar and toxins you inhale along with the cannabis. Vaping: If you absolutely must inhale your marijuana, you can try vaping. When you vape correctly using a high-quality vaporizer, you can reduce the toxins generated. However, it will still release a small amount of those chemicals, no matter how you vape it. Edibles: As long as you don’t have any dietary issues or restrictions preventing you from eating edible marijuana products, they can provide an extended and milder effect. If you don’t mind feeling the effects later than you would with inhalation, edibles could take the edge off any side effects marijuana gives you. Topicals: Most topicals, such as lotions and balms, help patients dealing with localized But, there are also patches available in certain states that let the medicine directly enter your system. Patches can come in a 100 percent CBD formula that lets you avoid the paranoia resulting from tetrahydrocannabinol (THC). Pure CBD: A treatment method growing in popularity is pure CBD. CBD oils and pills are taken similarly to pharmaceutical medicine but affect you the same way other CBD products do. So while you can consume your marijuana in just about any manner and feel relief, some products will work better than others. Patches, pills and oils with 100 percent CBD can relieve your anxiety without making it worse. Try out different products and stay in touch with your doctor so you can make adjustments as you go. When you get cannabis medicine, you must choose a strain that suits your health needs. Medicating with marijuana isn’t as simple as getting any kind of leaf and using it — every strain of marijuana has unique effects. But it isn’t terribly complicated as long as you do your research and consult with your doctor and dispensary. Before we talk about specific strains, keep in mind that there are two families of strains — indica and sativa. Indica strains are high in CBD, the compound in marijuana beneficial for anxiety. Meanwhile, sativa strains contain high THC concentrations. Some patients experience anxiety relief from THC, while others feel more anxious. Your doctor can help you find a strain that relieves your symptoms. Granddaddy Purple:Granddaddy Purple is a hybrid indica strain that produces an incredibly relaxing effect. It also makes you feel euphoric, so it can help you manage depression if you have it. Other medical uses for Granddaddy Purple include pain, stress and insomnia. Amnesia Haze:Unlike Granddaddy Purple, Amnesia Haze has about 20 percent sativa in it, meaning it doesn’t make you as tired as a 100 percent indica strain would. On the flip side, you may want to be extra careful when using Amnesia Haze, since the THC in sativa can make you more anxious. When used by someone who reacts well to it, it boosts their mood and energy while calming them down. Chocolate Chunk: As another 100 percent indica strain, Chocolate Chunk provides full-body relaxation. Since it’s so potent, you may only need a small amount to get results. Girl Scout Cookies:Patients suffering from post-traumatic stress disorder (PTSD) could benefit well from the Girl Scout Cookies strain due to its higher THC content. While THC exacerbates some anxiety disorders, it replaces some of the missing chemical compounds in a PTSD patient’s brain that affect memory. Harlequin:Harlequin works similarly to Amnesia Haze due to its small amount of THC. It relaxes users while keeping their minds clear and alert. Northern Lights:The final strain on our list is another full indica. Northern Lights provides stress relief, in addition to helping you sleep and relieving pain. For more strain ideas, try asking your dispensary staff members. While it has numerous benefits, medical marijuana can also have side effects for some patients. Due to marijuana’s versatility, a negative side effect for one patient can serve as a benefit for another, such as indica strains’ tendency to make the user sleepy. So when you consider the pros and cons of marijuana, you must look at it holistically and understand all its nuances. Hunger: All jokes about “the munchies” aside, constant hunger can cause you to eat more unhealthy food. Since the only solution to a cannabis-induced appetite is eating, we recommended keeping healthy food around so you don’t snack on junk food when you feel hungry. Red eyes: Eye redness doesn’t harm you. But it can make you feel self-conscious, especially if you worry about the judgment some medical marijuana users face. To get rid of your eye redness, use some over-the-counter eye drops. Respiratory issues: Only marijuana smokers and vapers need to worry about their medicine causing respiratory issues. If your marijuana use starts to damage your lungs, switch to another means of taking your medicine. Drowsiness: In addition to calming you down, indica strains and other strains high in CBD can make you feel sleepy. If you have difficulty sleeping due to your anxiety, you might consider this a benefit. On the other hand, if your sleepiness gets in the way of daily functioning, time your dosage so the sleepiness hits you around bedtime. Dry mouth or thirst: “Cotton mouth” isn’t limited to pharmaceutical medicine alone. To keep from constantly feeling thirsty, drink plenty of fluids and chew xylitol gum. To avoid extra sugar, drink water or other healthy drinks instead of soda or juice. Short-term memory loss: You may feel extra-forgetful when your medicine kicks in. If this happens during work or school, try changing the time you take your medicine so you have memory issues when you don’t need the extra brainpower. Insomnia: Insomnia generally occurs patients who use sativa strains high in THC. Since you probably use a strain with CBD, you might not have to worry about sleep problems. If your medication makes it hard to get to sleep, take them at a time that allows them to wear off before bed. Giddiness: Here at Marijuana Doctors, we advocate for our patients’ health and happiness. But marijuana can cause giddiness that affects your ability to do daily living activities. This is another case where you need to adjust your medication time so it doesn’t impact your school or work. 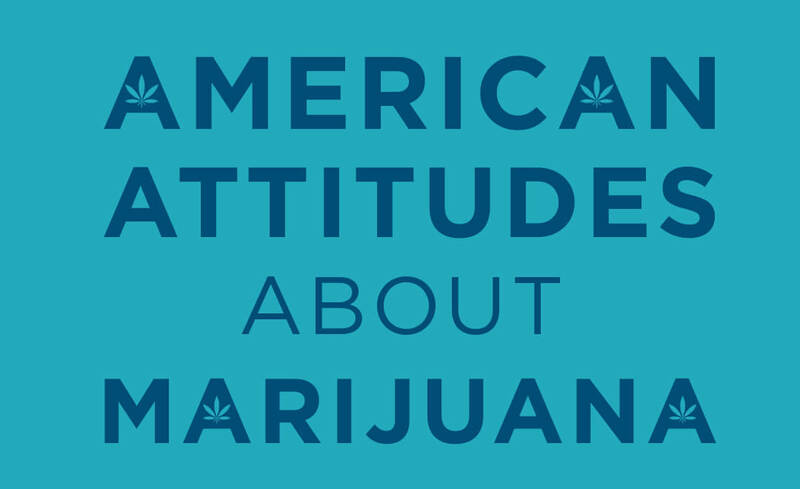 Everyone has a different experience with medical marijuana. With the guidance of a trained medical professional, you can minimize side effects and maximize the benefits. Research into the benefits of medical cannabis for anxiety is still in its early stages, but indications show that marijuana can help people suffering from anxiety a great deal. A.R. Schier et al. conducted a comprehensive review of scientific research on the use of CBD for anxiety relief. They looked at studies on both rats and humans. The researchers found a lot of promise in preclinical studies conducted on lab rats. The results showed potential for treatment for PTSD, panic attacks and obsessive-compulsive disorder (OCD). Their results suggested that lower doses of CBD worked more effectively than higher doses. The studies addressing CBD’s effect on human psychology also indicated a chance of medical marijuana acting as an anti-anxiety drug. Schier et al. went back as far as the 1980s to compile data on CBD and found it tended to reduce anxiety symptoms in human patients. So far, we don’t have enough clinical evidence to completely understand how cannabis impacts anxiety disorders. But we’re on the right track toward learning about the calming properties of medical marijuana. However, we should also keep in mind that marijuana has the potential to cause psychosis that triggers anxiety. As marijuana laws change, we’ll have more opportunities for research that can tell us when and how to use marijuana for anxiety properly. In the meantime, we recommend working closely with your doctor so you can figure out whether or not it works for you. Now that you know how cannabis medicine treats anxiety, you can further your understanding with knowledge about the condition. In the second part of this guide, we will explain the symptoms and causes of anxiety disorders. Generalized anxiety disorder (GAD): People with GAD experience frequent and excessive nervousness about many facets of everyday life and have a hard time controlling these worries. Even when they know they’re experiencing more anxiety than is warranted for a situation, they can’t stop feeling concerned. Obsessive-compulsive disorder (OCD): While most people think of OCD as being overly neat or organized, it causes as much distress as other anxiety disorders. OCD causes intrusive thoughts — or obsessions — that compel the patient to conduct repeated actions — or compulsions — to calm down. Social anxiety disorder: Another misunderstood form of anxiety, social anxiety disorder goes far beyond shyness. In reality, it makes the patient feel severe anxiety about social interaction. They often worry about judgment from others when in social situations. Panic disorder: Patients with panic disorder get sudden, unpredicted panic attacks that cause a racing heartbeat, hyperventilation and other intense symptoms. They often worry about getting panic attacks, which compounds the issue. Post-traumatic stress disorder (PTSD): Patients who have gone through a traumatic event, such as war, disasters, abuse, tragedy or other life-changing or life-threatening occurrences, can develop PTSD. This illness causes the patient to have intense flashbacks about the event, avoid trauma reminders and constantly feel on edge. Specific phobias: We all have our fears, but patients with phobias have an extreme fear reaction to the thing they are afraid of. Even though they know they have an irrational fear, they have difficulty controlling it. Most people have to make a living by working, getting an education, taking care of their household or serving another important purpose. Regardless of your goal in life, constant anxiety impairs your ability to meet it. But there is hope. Your feelings of anxiety are valid. We’re here to give you support for your medical marijuana treatment, and there are many professionals out there who can help you feel better. You may have anxiety because of one or more of these causes. On the other hand, your condition might come from a different source. Regardless of the reason, you have a valid disorder that requires treatment like any other health condition. As one of the most common mental illnesses in the U.S., anxiety disorders impact 40 million adults, according to the Anxiety and Depression Society of America (ADAA) — that’s about 18 percent of the entire population. Only about one-third of people dealing with anxiety seek treatment. Almost half of people with depression also have an anxiety disorder. Not only do anxiety disorders interfere with daily functioning, but they can also become a financial burden. A 1999 study in The Journal of Clinical Psychiatry commissioned by the ADAA discovered a huge price tag for anxiety. The costs of anxiety disorder treatment make up almost one-third of the U.S.’s total mental health costs, at $42 billion a year. The combination of symptoms you have and their intensity can vary depending on the nature of your anxiety disorder. Just because you don’t experience these exact symptoms doesn’t mean you don’t have an anxiety disorder — only an experienced mental health professional can provide a proper diagnosis. Cognitive behavioral therapy (CBT): This is also known as “talk therapy,” and it involves regular sessions with a licensed therapist where you talk about your feelings and behaviors. CBT focuses on addressing your negative and false beliefs and finding ways to manage them. For example, an anxiety patient might talk about their fears and worries to work towards rethinking them. Medication: Doctors may also prescribe medication to reduce your anxiety symptoms. If you only have issues with anxiety, they will prescribe anti-anxiety medication. But if you also have depression, some antidepressants also help anxiety. In addition to your medical treatments, you can use self-management strategies to address your anxiety further. Your therapist can teach you some coping strategies during your sessions. In-person support groups or legitimate online resources can teach you more. Some patients also try alternative and supplemental treatments like exercise and yoga. If you have the ability to do these kinds of physical activities, they will certainly improve your overall health and may offer some relief from your anxiety disorder, as well. If you want to pursue medical marijuana after reading this page, having some basic knowledge can help you hit the ground running. Our goal at Marijuana Doctors is to give you the necessary information to make the right medical marijuana decision. Understanding your state laws about marijuana will pave the way for the rest of the steps in your medical cannabis journey. These laws will help you know what types of medicine you can use, where to get medicine, how much medicine you can have at a time and more. Finding a good doctor and dispensary is also crucial to getting the most out of your cannabis treatment plan. A marijuana-trained doctor near you can provide recommendations. Dispensary staff with the proper knowledge can advise you on the products they sell and how they relate to your anxiety. If you suffer from an anxiety disorder and want to know if medical marijuana is the right solution for you, find a local, qualified physician through MarijuanaDoctors.com. Let us help improve your quality of life!